Every car owner knows that sinking feeling you get when you’re on the highway and a rock chips your windshield. Not only is your car less safe to drive with a cracked windshield, but it can affect the beauty and value of your car, too! And the longer you wait, the more likely it is that the crack will spread. But there’s good news: SuperGlass offers mobile windshield rock chip repair in Englewood, so you can have your windshield repaired quickly and conveniently. With our Englewood mobile windshield chip repairs, a professional technician in a SuperGlass uniform will arrive at your location at the appointed time. The technician starts by evaluating the crack or chip, then vacuums it out and proceeds to fill it in with our proprietary SuperGlass resin. Our advanced resin creates a strong bond with the glass of your windshield to not only repair it, but bring it back to its full strength. 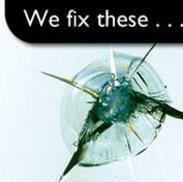 Customer satisfaction is our highest priority, so our SuperGlass technicians are highly trained in offering excellent customer service as well as the highest quality windshield crack and chip repairs in Englewood. We service everything from fleets of commercial vehicles to family cars, and all with the same attention to quality. Give us a call today to schedule a visit from one of our technicians!